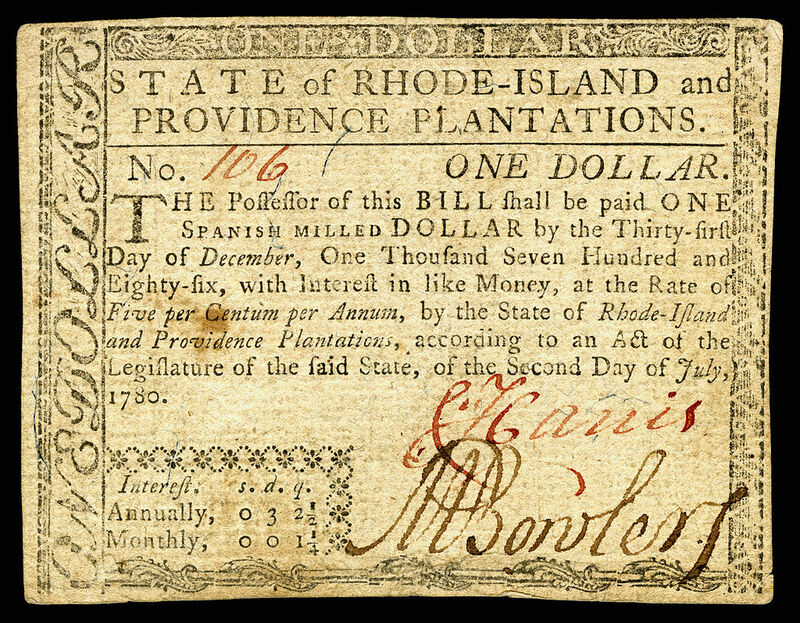 Money and goods were essential commodities for conducting commerce in colonial America, just as they are today. 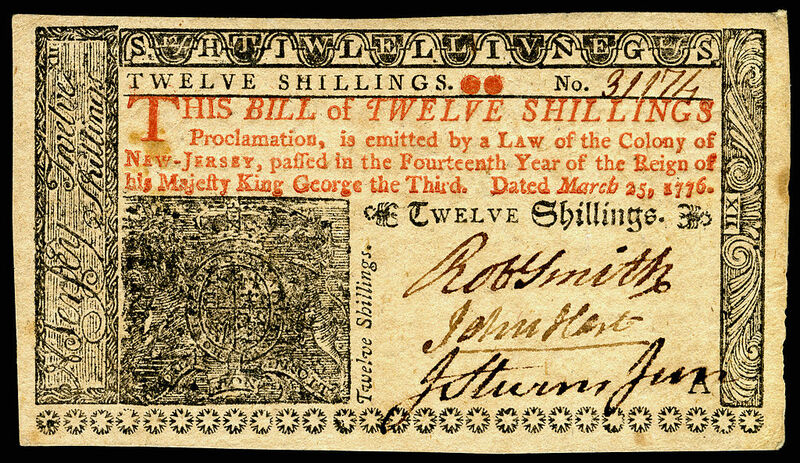 As you research pre-colonial documents such as deeds, bills of sales and receipts, you often see references to English and Spanish currency, bills, notes, and other documents of trade. You may also encounter references to money issued by and used in specific colonies. What did all this mean to your ancestors? 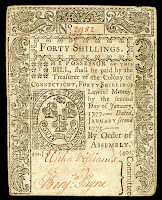 Connecticut 40 Shilling Note (1777). Used through Creative Commons license. 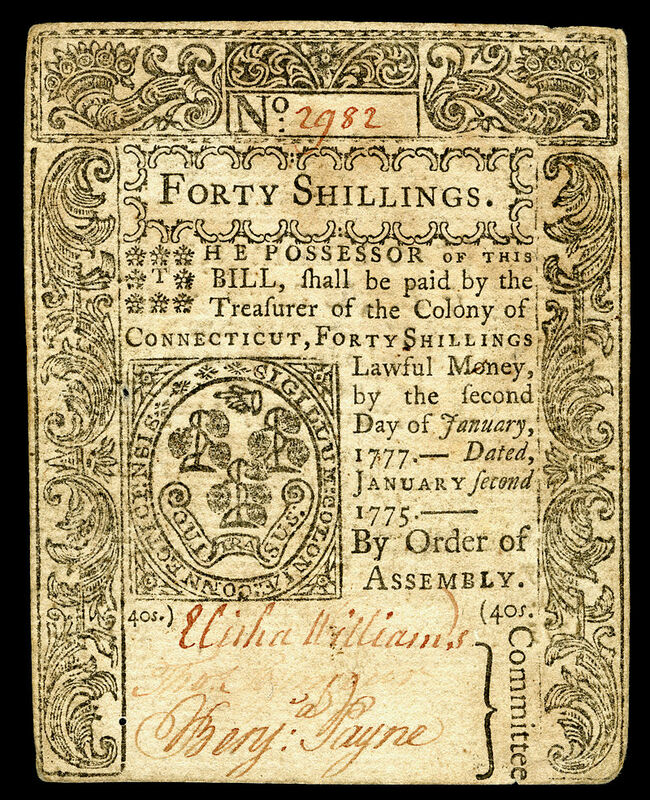 The Colonial Currency Web page at http://www.coins.nd.edu/ColCurrency/index.html provides detailed information about the currencies used in colonial America. The Web page is created by Louis Jordan and details a Project of the Robert H. Gore, Jr., Numismatic Endowment at the University of Notre Dame. The site contains detailed essays about colonies' and states' currencies, Continental currency, colonial lottery tickets and more, along with excellent photographs of many examples of these currencies. 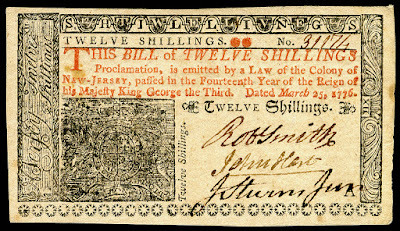 New Jersey 12 Shilling Note (1776). National Numismatic Collection at the Smithsonian Institution. Some colonies issued currency notes that stated their value in both dollars and English pounds. The National Numismatic Collection of the Smithsonian Institution's National Museum of American History (http://americanhistory.si.edu/national-numismatic-collection) holds a massive collection of colonial money. 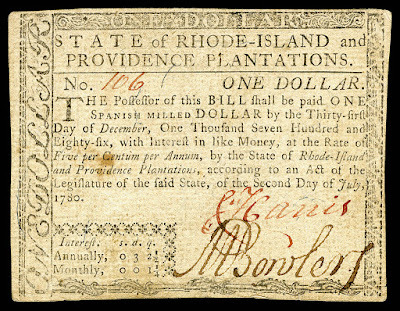 Rhode Island Note One Dollar Note (1780). 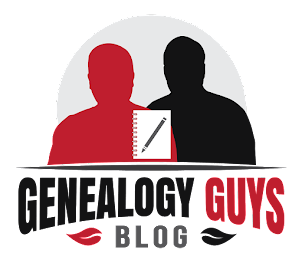 Understanding what currency was used when and what its value was may provide you with insight into the financial circumstances in which your ancestors lived. And the more you understand you ancestors, the better able you will be to make educated assessments of the details of their lives. A frequent question is, "How much is that colonial amount worth in today's currency?" Then as now, exchange rates influenced the values. Again, The Colonial Currency Web page cited above one of your best reference resources. Wonderful timing on this blog post! I was just researching my 5th great-grandfather, who died in Georgia in 1784, and the value of his estate was denominated in pounds so I was trying to figure out what kind of currency it was. Definitely going to check out this web site.